Chameleons change color: A lot of them are turning gray. – Denounce forest fires. Protect life. 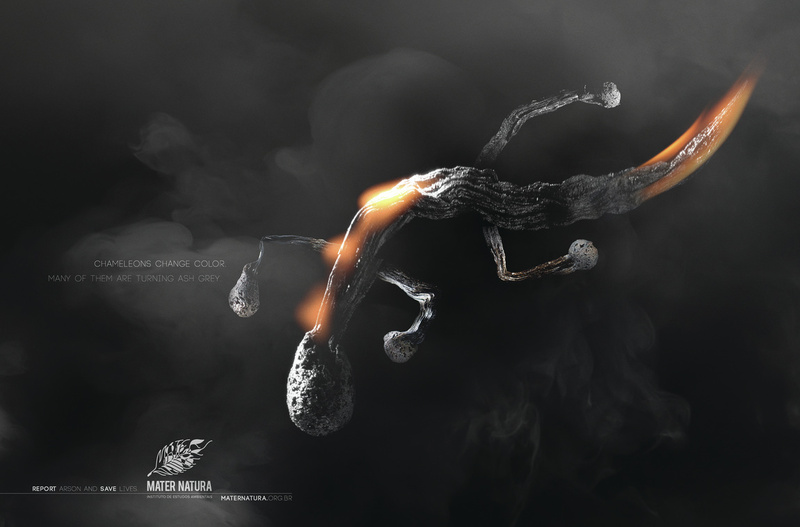 Campaign for the Brazilian environmental NGO Mater Natura.